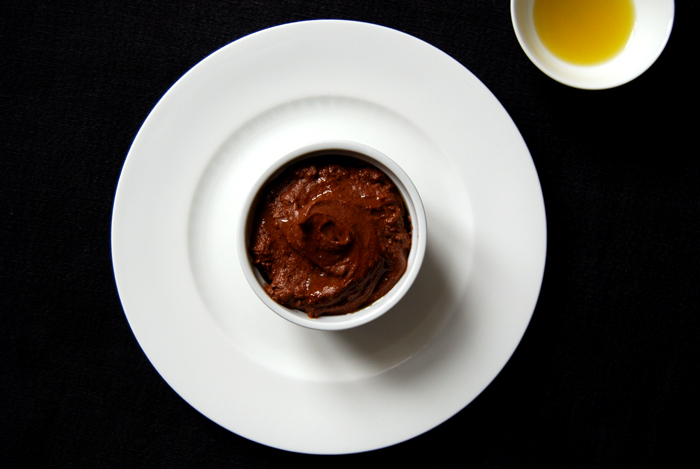 My Mousse au Chocolat has all the finer qualities of a sumptuous mousse. Bittersweet chocolate rubs against an unexpected but perfect match, olive oil, thick and nutty with a little espresso. 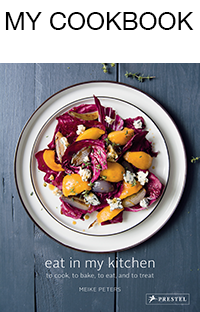 I know it sounds unusual but this combination is absolutely delicious! It’s luscious, a special treat for the weekend, perfect after an opulent dinner. I don’t make chocolate mousse all too often but sometimes I just need chocolate in its most concentrated and dense form and then it’s time for this dessert. 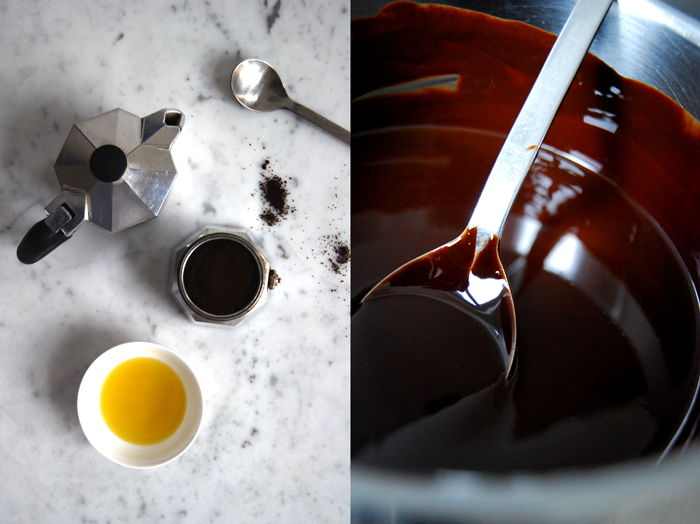 The olive oil adds something to the chocolate that is hard to describe but so easy to enjoy. If you try to imagine it you won’t even get close to it, you just have to feel and taste it in your mouth! Mix the melted butter, chocolate, olive oil and espresso. Beat the egg whites together with the salt. Beat the egg yolks and the sugar and mix together with the chocolate mixture. Stir 2 spoons of the stiff egg whites under the chocolate mixture. Stir the rest of the egg whites under the mixture as well, carefully, to preserve the light fluffiness. Fill into 4 forms and cool in the fridge for at least 3 hours.